Overmolding is regularly used to manufacture multi-material components for applications in a variety of industries: medical, automotive, electronics, and more. But it’s only recently that it also became a viable and cost-effective prototyping method. This white paper offers a primer on overmolding and insert molding and how these methods can be used for both prototyping and production. Stepper or servo motor -- Which should it be? Wings: Next Big Thing in Army aviation? The U.S. Army Research Lab and the South Dakota School of Mines have commercialized a portable system to reclaim unserviceable parts and reduce the amount of maintenance required by military and commercial sectors. The cold-spray process uses mixtures of metallic and nonmetallic particulates in powder form accelerated at supersonic speeds onto the surface of a worn or damaged part to restore it back to its original dimensions. If you haven’t used a 3D printer yet, you may be surprised to learn that it isn’t fully automated the way your office’s inkjet is. At schools and businesses, a trained expert usually handles all prints, which can be expensive. But Now MIT spinout New Valence Robotics (NVBOTS) has brought to market the only fully automated commercial 3D printer that’s equipped with cloud-based queuing and automatic part removal, making print jobs quicker and easier for multiple users, and dropping the cost per part. Duke University researchers have brought us closer to a future of low-cost, flexible electronics by creating a new “spray-on” digital memory device using only an aerosol jet printer and nanoparticle inks. Soon, digital storage devices may be everywhere -- including on our groceries, pill bottles, and even clothing. NASA has conducted a series of flights investigating the benefits of twistable, flexible wing flaps to improve flight efficiency. The second series of Adaptive Compliant Trailing Edge flights, or ACTE II, was flown at NASA’s Armstrong Flight Research Center in Edwards, CA, this spring. 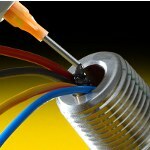 Smalley has expanded the Crest-to-Crest® Wave Spring Series. Smalley's popular C (imperial) and CM (metric) Series have been expanded; standard sizes are now available from stock down to .188 in. and 5 mm in diameter. Smalley Wave Springs can replace conventional coil springs while occupying only half the space and providing the same force and deflection. The quadcopter's four propellers are designed to work in conjunction with each other to ensure that there are no torque imbalances that could send the vehicle spinning out of control. But just how would a professional developer or hobbyist perform accurate propeller torque and thrust testing? Advanced sensor specialist FUTEK has the answer. Small UAVs (unmanned aerial vehicles) require reliable propulsion systems in order to achieve extended flight times with minimal quantities of fuel. Previously, the only option available for fuel delivery to the engine was a carburetor; yet it couldn’t provide an optimum fuel mix for all of the various phases of flight. A newly developed miniaturized electronic fuel injection (EFI) system can provide the benefits of fuel injection for small UAVs. Officially it's a gaming monitor, but who says your design work shouldn't be a little fun? 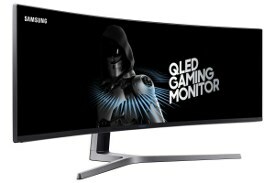 The new Samsung ultra-wide 49-in. CHG90 display features powerful, High Dynamic Range (HDR) picture enhancement technology typically reserved for high-end TVs, an exceptionally wide range of accurate color reproduction using QLED Quantum Dot technology, and AMD’s new Radeon FreeSync 2 tech for stutter-free motion. With the CHG90, having two smaller monitors on your desktop is so 2016. Bring out the full capacity of your machines through the most efficient mechatronic design. Hurley Gill, Senior Applications/Systems at Kollmorgen, outlines servo and stepper motor baseline capabilities for selection criteria like torque, speed, accuracy, and repeatability. Technical advantages and disadvantages are discussed, helping machine designers select the best motor-drive system for their application. Click here to read: Servo or Stepper: Which Should It Be? Kollmorgen designs and manufactures innovative motion control systems, including servo and stepper motors, drives, amplifiers, gearheads, and actuators. Incorporating the right clutch or brake early in the design process saves time, reduces costs, and ensures proper performance -- and every clutch/brake design project has several factors in common. The experts at SEPAC have outlined the 12 most important criteria to consider when selecting a clutch or brake for any application. The paper covers issues including heat generation/dissipation, response time, alignment, torque, and voltage/current objectives. Read Top 12 Priority Clutch/Brake Application Criteria now. SEPAC is a custom engineering company and manufacturer of motion control products, including electromagnetic clutches and brakes. 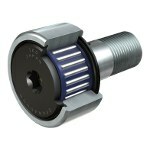 IKO International has expanded its line of CFKR series Double Hex Hole Cam Followers. 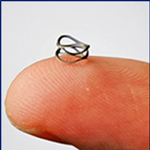 The outside diameter of the outer ring is now available in 22 and 26 mm, with current models as high as 90 mm. These bearings are designed for outer-ring rotation and have superior rotational performance with a small coefficient of friction and high load capacity. Consider the CFKR 90 V model, which features a dynamic load rating in excess of 67,000 N, compared to 40,500 N for similar cam followers on the market. The CFKR series features hexagon holes on both stud ends, so it can be tightened from the cam follower head or stud end. Variations are available for roller construction (cage or full complement), shape of the outer ring outside the surface (crowned or cylindrical), and seal structure (shield or sealed type). The SINOCHRON Motor design from ABM DRIVES offers advantages in continuous-duty applications like driving pumps and fans. 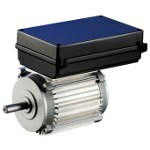 The efficiency is also better in partially loaded duty cycles when compared to standard asynchronous motors. This motor can replace a stepper motor in some applications. Drive units are virtually loss-free in no-load operation. This motor design also offers advantages in powering conveying equipment, escalators, spooling machines, compressors, and traction drive units. By substituting existing line-powered three-phase drive units, energy savings of 20 to 35 percent can be expected. 50-3122 is a one-component epoxy adhesive with a unique combination of physical properties. This adhesive provides both high shear and high peel strengths. It is also able to maintain exceptionally strong bonds over a wide temperature range of -60 C to 205 C. This product from Epoxies Etc. is formulated to offer superior resistance to impact, thermal shock, vibration, and stress fatigue cracking. It is used in electronic, electrical, aerospace, appliance, automotive, and industrial applications, and it passes NASA's outgassing requirements per ASTM E595-07. The Lockheed Martin/Sikorsky S-97 RAIDER is a next-gen light tactical prototype helicopter that can reach speeds of more than 220 knots, nearly double the speed of a conventional helicopter, and is capable of flying at 10,000 feet in 95°F heat. It can carry six troops and external weapons, and it aims to redefine helicopter flight during the 21st century. Based on Sikorsky’s Collier Award-winning X2 Technology, RAIDER incorporates the latest advances in fly-by-wire, flight controls, vehicle management systems, and systems integration. It also has retractable landing gear, active vibration control, a composite fuselage, active elevator and rudders, split torque transmission, and a rigid co-axial rotor system. These technologies enable the aircraft to operate at high speeds while maintaining the low-speed handling and maneuverability of conventional, single main-rotor helicopters. Consumers are suing General Motors for allegedly rigging the emissions controls in Duramax diesel trucks in order to pass emissions tests, while in real-world conditions the trucks emit two to five times the legal limits of NOx pollutants, according to auto-defect consumer-rights law firm Hagens Berman. Aerospace engineers at the Technion-Israel Institute of Technology have developed and patented a process that can be used onboard aircraft while in flight to produce hydrogen from water and aluminum particles safely and cheaply. The hydrogen can then be converted into electrical energy for inflight use. 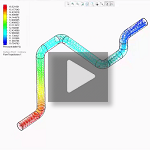 This short quick-tips video illustrates design engineering focused benefits of MCAD embedded CFD analysis for earlier decision making. On June 15, Orbital ATK, along with NASA and Lockheed Martin, successfully completed the first qualification test for the Orion spacecraft's launch abort motor, which is critical to crew safety because it pulls the crew module away from the launch vehicle in the event of an emergency on the launch pad or during ascent. The motor stands over 17 ft tall, spans 3 ft in diameter, and has a manifold with four exhaust nozzles. Upon ignition, the abort motor fired for 5 sec. The high-impulse motor was specifically developed so the majority of its propellant would be expended in the first 3 sec, burning three times faster than a typical motor of this size. The motor reached 400,000 lb of thrust in 1/8 of a sec, as expected. This is enough thrust to lift 66 large SUVs off the ground.